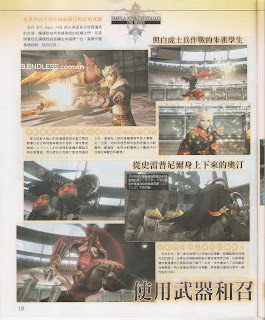 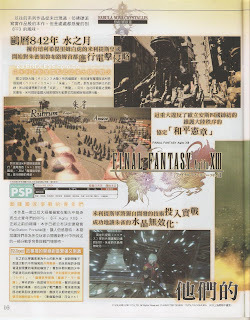 Continuing with the Famitsu coverage of the Fabula Nova Crystallis is four new scans of the card game FF agito XIII, which made the transition from a cell phone game to a PSP game. 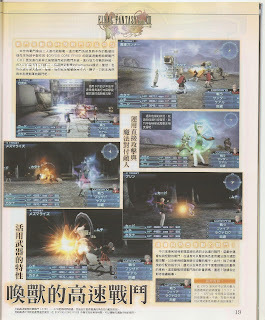 I think this will be a cross between FFXI's tetra master and an actual RPG. 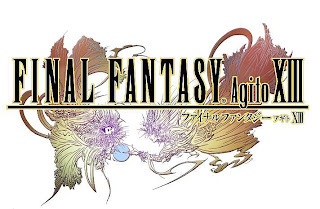 Another blind guess is you play the RPG, collect cards which may be random per game and via wi fi hotspots can challenge other people who have FF agito XIII to a game of "tetra master", winner takes the losers card. 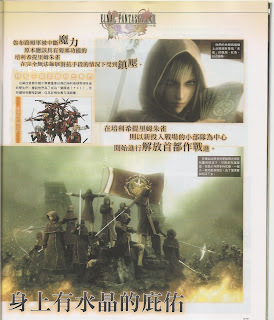 Or perhaps the reverse will happen, you'll need to challenge others to get specific cards to advance through the RPG.